FFEI Ltd, the global developer of award-winning digital imaging solutions, today is pleased to announce the purchase of Graphium, a digital hybrid, five colour UV inkjet press including white integrated with inline flexo and finishing stations, by Saudi Plastics Factory (SPF), a leading Saudi Arabian producer of plastic containers and packaging. Mr FAWAZ AL KAAKI the President and Managing Director of Saudi Plastic Factory stated “SPF chose to invest in a Graphium hybrid digital press in order to better serve their customers. They will now have the capability to print PVC labels and apply them to their plastic containers – faster and more efficiently.” SPF is looking to also develop shrink sleeve and In-mould labels for the Saudi Arabian market. The recent purchase builds on the long standing relationship between SPF, AlAoun Trading Company and FUJIFILM, who facilitated the sale of the machine. AlAoun Trading Company, a leading supplier in the Middle East of printing materials including inks and digital equipment, worked closely with Fujifilm Middle East to close out this project. Graphium, currently on display at Edale stand 7D43/7D39, is a high speed hybrid digital inkjet press designed specifically for the narrow web market by FFEI, Ltd. and marketed exclusively in the UK and Ireland by Edale. It’s the first press to be configured with two pre-digital flexo stations, a six colour inkjet digital system, two post digital flexo stations with foiling and Edale’s new hybrid semi/full rotary die cutting system. Demonstrating unparalleled application versatility, Graphium enables converters to target a broad number of label applications with digital. It offers convertors the ability to be both highly innovative and very efficient. Graphium can be configured with a range of finishing technologies, designed to add value and to finish the label or packaging in a single process. Graphium’s finishing options are automated and synchronised to complement the digital workflow and to minimise set up time and waste. Graphium is able to handle a print width of either 330mm (13 inches) or 420mm (16 inches), and can print some of the thinnest label substrates up to heavy duty vinyl, as well as board stock. Graphium gives converters the ability to profit by offering their customers reduced time to market, smaller batch sizes, increased SKU’s and added value that only digital can deliver. 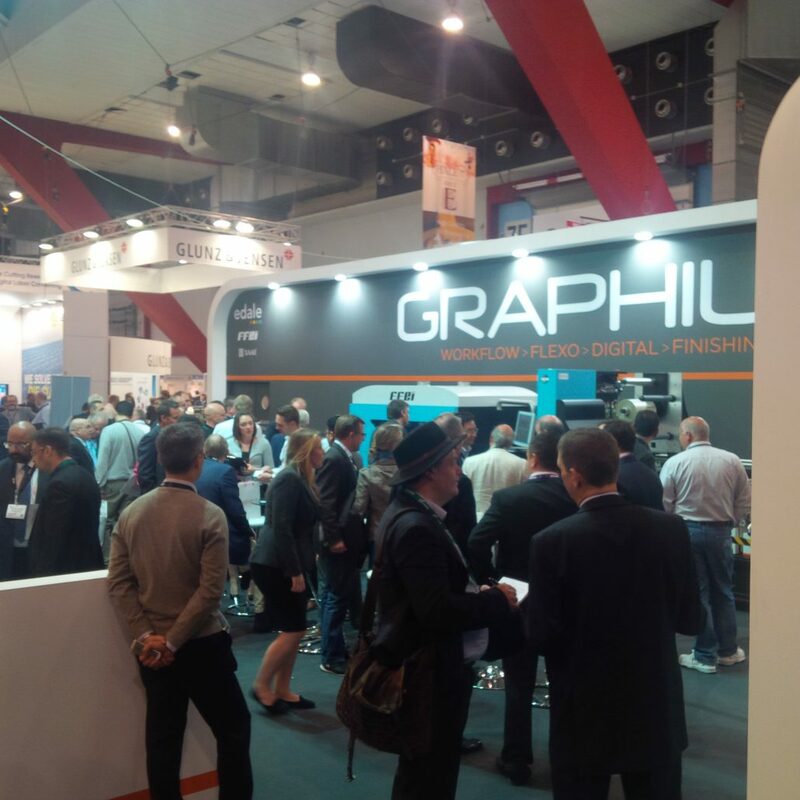 At Edale stand 7D43 attendees are experiencing Graphium running a wide range of label and packaging jobs, including health & beauty, beer, beverage, food, household and industrial applications, printed and converted using a variety of print processes. The demonstrations not only show the stunning quality of labels and packaging, but also how the flexibility of the Graphium hybrid system can help converters add value, create new market opportunities and improve margins.